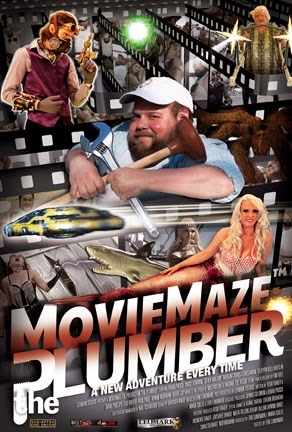 When my friend from the U.K., David, who manages the really cool site Comic Book & Movie Reviews, asked me to help him out of a bind by writing a review of a “game” for him called MovieMaze: The Plumber, I was a bit skeptical. All of the media that showed up during a cursory Google search for this game seemed cheesy at best, and information about the previous one (MovieMaze: The Mechanic) was also sketchy at times. But, I gave the “game” a chance anyway. Since this was specifically written for CB&MR, I won’t reproduce this one here, but instead I will link you all to the article on that site. My short opinion on it: you probably want to steer clear of this one, or at least go into it with little-to-no expectations on what you’ll get out of it!